Nothing to do today? Crucially important things to do today? 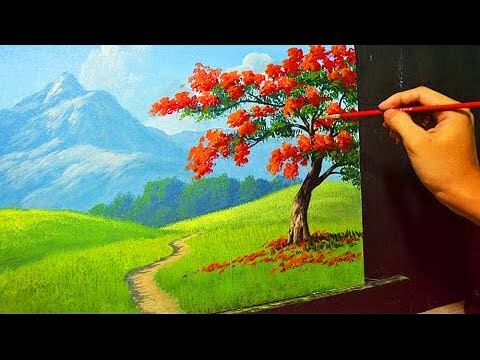 Forget about all that and just watch these acrylic painting tutorials. It’ll be fun! Acrylics are an affordable and popular medium that anyone can try. Below is a collection of awesome acrylic painting lessons for beginner-and-intermediate-level artists. You can watch the paintings unfold in real time, too, so there’s not that thing where the artist paints a blob, then the video cuts immediately to a fully detailed scene without explaining anything. Enjoy! Frank Clarke's Introduction to Acrylics And paint a landscape. Brand new to the medium? Frank Clarke’s intro to acrylic painting is a good place to start. 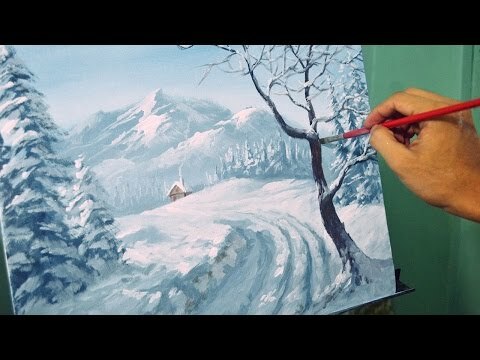 In this lesson he explains how to create some simple objects, and by the end paints an entire landscape, all in real time. 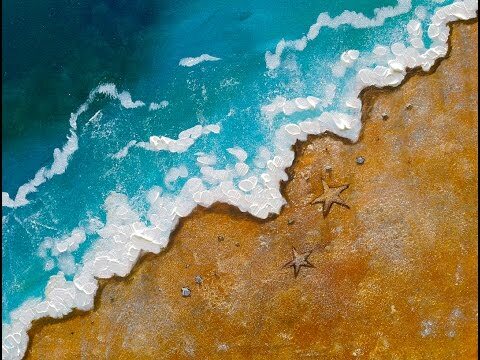 Here’s a lesson on seascape painting from a unique overhead perspective. There are lots of good tips on blending and layering paint to create texture and movement. 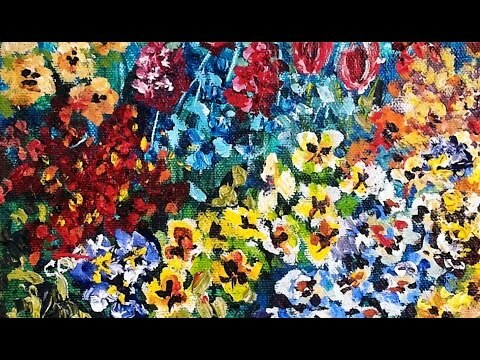 In this tutorial video, Ginger Cook teaches you to paint a vibrant flower painting. She’s good at explaining some basics of color theory, and talking in detail about how she creates the effects as she goes. 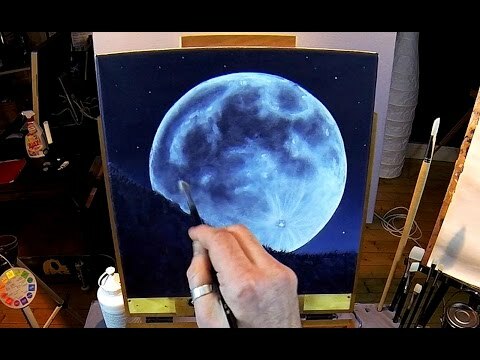 Ric Nagualero paints a vibrant full moon over the course of two hours. 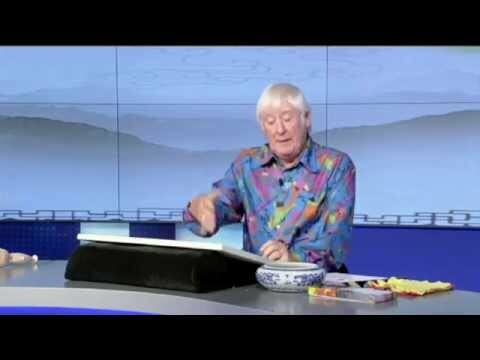 This lesson is more meditative than instructional in that he doesn’t narrate much, but you can still learn a lot by watching. 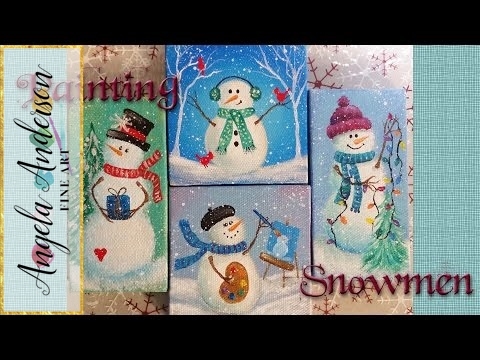 Quickly learn to paint some fun, simple Christmas decorations on miniature canvases. Here’s a good lesson that demonstrates atmospheric perspective, color contrast, and more. It’s on the simpler side, as well, so anyone can give it a try. Keeping with the bright colors, here’s an acrylic painting lesson for sunset enthusiasts. There’s sort of a first-person-perspective angle to the video, which makes for interesting viewing, but he relays many good tips within the lesson. 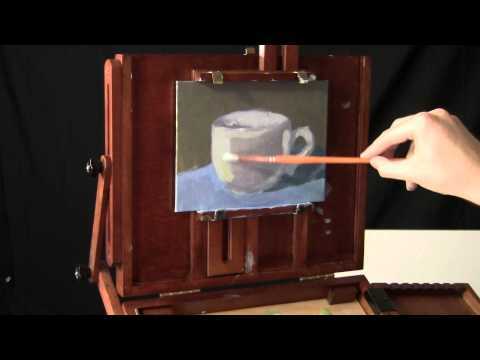 Although you could use the tips from this video to paint on a mug, this is a painting of a mug, on a canvas. It’s a good little lesson on a simple still life subject, teaching you ways to represent roundness and dimension in your paintings. 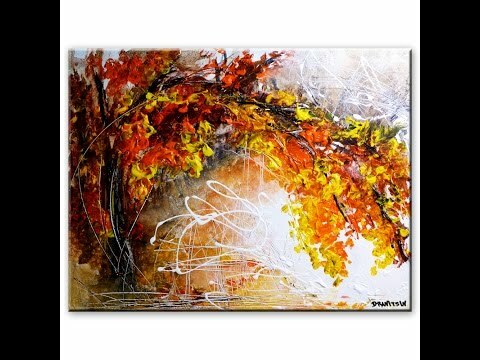 Peter Dranitsin uses a loose and fast impasto technique to create an eye-catching autumn scene with an abstract flair. 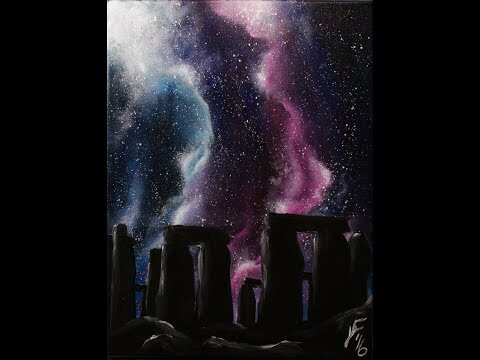 The funky, glowing northern lights sky is really the feature of this colorful painting, which would also work great in a fantasy or sci-fi piece, if that’s more your thing. John Magne Lisondra doesn’t shy away from keeping this wintery piece cold, and shows what great effects you can achieve with a limited color palette. 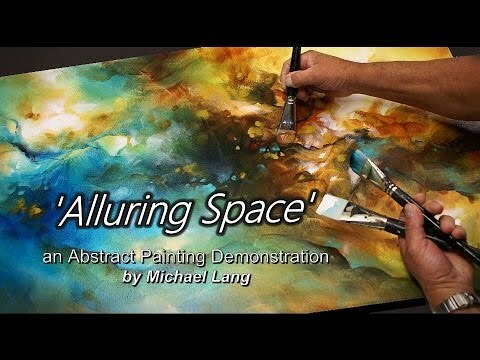 This painting video by Michael Lang is more of a demonstration than a lesson, but by watching him paint you should be able to glean some useful tips to apply to your next abstract creation. Hopefully you learned something new or at least killed a few hours watching these videos. Take a look below for some more you might like.